This cute pic from our dinner in rural Malancrav, Romania, just over a year ago, gets to be my test photo. Just lovely. A test reply. It’s all about the details! 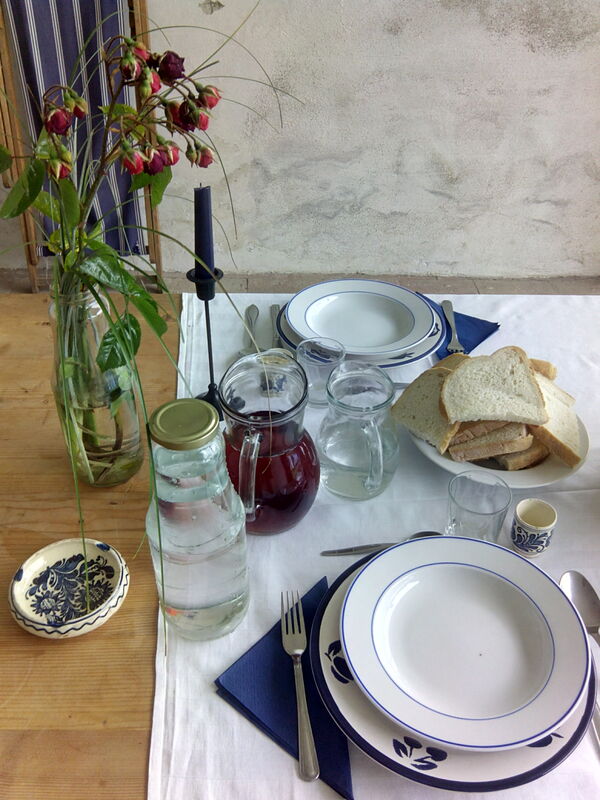 A prepared table adds to the anticipation. Ruthie, I thought this was such a sweet setting for our traditional Romanian country meal, which was served on a long farm table outside. You might enjoy seeing some more pics (from Romania, France, Germany, etc.) on my former blog, fairytalehausfrau.blogspot.com.